Aberdeenshire village Pennan, made famous thanks to Bill Forsyth’s 1983 hit film Local Hero, and its neighbouring Crovie are just two areas flagged up by the Banffshire Coast Tourism Partnership as being ringtone and message alert-free. Zillah Jamieson, group director, said: “Many tourist organisations regard poor or non-existent mobile communications as a distinct disadvantage but we believe it can work in our favour. As well as Crovie and Pennan, which has its iconic red phone box for emergency calls, the partnership says the historic harbours at Portsoy and Gardenstown also provide patchy mobile signals at best. Seatown in Cullen is another area flagged up where tourists can escape the buzzing and beeping. In the interest of balance, Mrs Jamieson said the Banffshire Coast Tourism Partnership was “equally happy” to point visitors in the direction of places which provide excellent mobile phone coverage. Kingsbarns Golf Links is looking forward to its second decade in operation after a successful 10th anniversary season in 2010. Having celebrated the anniversary last year by staging qualifying for the Open Championship the highly rated links in the East Neuk of Fife saw more than 27,000 rounds played throughout the season. The main focus of the green keeping team, led by Course Manager Innes Knight, was to continue improvements to all playing surfaces. In 2010, with the help of 'state of the art' fairway cutting machinery and the addition of an extra patching team, the maintenance team were able to work ahead of daily play unnoticed. This winter's maintenance included work to augment the existing fairway drainage system by improving certain areas which have been affected in the past by torrential downpours. Maintenance has also included work such as bunker revetting, tee and walkway alterations and coastal defence improvements. The green keeping team work closely with the Sports Turf Research Institute, the leading independent turf care body, to monitor the quality of the greens. The STRI uses highly advanced turf quality measuring equipment on the playing surfaces to help Innes and his team consistently achieve traditional links conditions and true running surfaces. "The course performed very well in 2010," said Innes. "The Final Qualifying for the Open in June and the Alfred Dunhill Links Championship at the beginning of October were our biggest events of the year and we received very favourable feedback from both tournaments. We have been very busy over the last few months working hard to lay the foundations for a successful start to the 2011 season." Improvements have also been made to the facilities for golfers including the upstairs locker room, 1st tee starters hut and to the half-way house. The half-way house has undergone a makeover and will continue to sell a selection of chilled beers, hot or cold drinks and snacks, along with its world famous hotdogs. The green fee at Kingsbarns for next season is £185 with a 50% discount for golfers playing a second round within seven days. Guests can enjoy and perfect their game at a world-class practice facility and teaching centre, before retiring to the hotel’s luxury accommodation. The centre, established in 2000, has earned a reputation as one of the most important teaching centres in Scotland, with a particular emphasis on junior development. The clubhouse at Meldrum House Golf Course also offers truly excellent facilities. It features a comfortable lounge, upstairs balcony with panoramic views over the 18th fairway, TV lounge and a dining room offering an interesting and ever-changing menu. Members can book the two clubhouse hospitality suites, at no extra charge, for private and business functions. The George Duncan Suite is dedicated to the 1920 Open Championship winner who was raised at Oldmeldrum. Delegate rates apply for business events. Accommodation is also provided in the 18th-century house set in the expansive Meldrum estate, with rooms across three buildings, each with its own distinct character. Those looking for historic style will find the main house’s nine large bedrooms particularly comfortable, with the choice of a grand four-poster bed for added opulence. The rooms look out across the estate, and each features antiques which have been part of the fabric of the house for many years. Within the main house, the hotel dining room serves the best of local produce, while the comfortable bar is a great place to relax. With a variety of special breaks, Meldrum House Country Hotel is definitely worth checking out. Book your unforgettable August family holiday at Machrihanish Dunes now and enjoy savings and discounts galore. August is Family Fun Month at Machrihanish Dunes – and that means big savings on all kinds of family holiday fun. Book three nights now and get the fourth night free in our Ugadale Cottages, named Best Hotel in Scotland (small hotels category) by Golf Tourism Scotland. Each of two-bedroom luxury cottages sleep four and includes complimentary breakfast. Plus, kids golf free on the U.K. Top-100 ranked Machrihanish Dunes Golf course, the world’s most natural golf course. Free Passes to the Scottish Owl Centre! Harry Potter fans will enjoy this! Families who stay at the Ugadale Golf Cottages receive complimentary tickets to the Scottish Owl Centre. As Scotland's only owl centre, you have a unique opportunity to get close to these awesome birds. Meet face to face with birds that you've only heard as a distant twit-twoo! Discover many varieties, from the giant Eurasian Eagle Owl and magnificent Great Grey Owl to the tiny Scops Owl. Plus, witness an exhilarating flying display daily as these majestic hunters show off their awesome abilities. Feel like taking to the water? 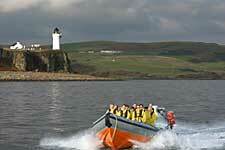 Enjoy a 2-hour voyage with Mull of Kintyre Sea Tours in Campbeltown. Take in the splendour of the Kintyre coast and its wildlife as you get close to basking seals and puffins and keep an eye out for sharks, porpoises and bottlenose dolphins! 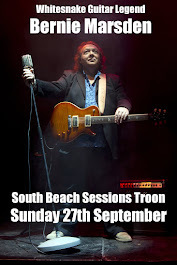 The tour takes in Kintyre, Arran, the firth of Clyde, Islay and even Northern Ireland. Guests of the Ugadale Golf Cottages receive £10 off a scheduled cruise. Enjoy playing golf with the kids on the Machrihanish Dunes Golf Course, where kids under 16 always play free. Kids will receive daily complimentary club rentals and sleeve of golf balls during Family Fun Month in August. Junior tee boxes have been established so that young golfers can enjoy the natural layout of Machrihanish Dunes. Family tee times are available on request. Kids will also enjoy a complimentary round of golf on the wee course at the world-acclaimed Machrihanish Golf Club. In addition, each child will receive a special Golf Environmental Organization (GEO) Certification when he/she participates in one of the free daily golf clinics conducted by our resident Course Guides and Golf Professionals. The clinic includes a special guided eco-tour of Machrihanish Dunes, the only golf course ever built on a Site of Specific Scientific Interest (SSSI). Learn how rugged, raw, and beautiful Machrihanish Dunes coexists with the land to actually improve the quality of the environment. Guests can enjoy sunset bonfires on the beach with marshmallows for toasting; Sand-castle building together; mountain bike rentals; hiking; and surfing at Westport Beach and much more! The possibilities for family fun are nearly endless at Machrihanish Dunes. Availability of Family Fun Month packages is limited, so book your visit now. Call Freephone within the U.K.: 0800 151 3701, or 44 01586 810 000, or email Machrihanish Dunes directly at info(at)machdunes(dot)com.